It is safe to say that water is vital to our existence on this planet. What was once in abundant supply is now being rationed due to the growth of the populous; therefore making it crucial for us to protect what resources we have as best we can. In the fire protection industry, we must do our part to protect the water supply. 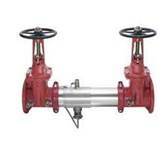 The most sensible way, at present, is through a Backflow Protection Program. An ever-growing number of cities and small towns are requiring approved backflow preventers to be installed downstream from the municipal water supply. Before installation in Texas, for example, a backflow preventer must be an approved assembly by TCEQ, “Texas Commission on Environmental Quality”, and the local authorities. The backflow preventer keeps your pressurized fire sprinkler water line from flowing back into the municipal water line, which is possible if there is a loss of pressure from the municipal water line. Backflow preventers eliminate the possibility of polluting the municipal water system through cross-contamination. Once an approved backflow preventer has been properly installed by a licensed company, it must have an initial test performed by a licensed Backflow Tester (an individual who has completed the required course for backflow testing and has successfully passed the TCEQ State Test for certification). The Double Check Assembly is the mainstay for normal fire protection applications. The Reduced Pressure Zone Assembly is typically used when chemicals are added to the equation, such as a pre-mixed antifreeze mixture to prevent exposed piping from freezing. However, some municipalities require RPZ’s on all applications. The RPZ uses a double check concept with a relief valve and an air gap. In short, backflow preventers work to protect our water resources; and for now, this is a good start. American Fire Protection Group is constantly staying informed of the latest in technology to help with all your fire protection needs. If you would like to learn more about backflow preventers, contact one of our team members today!